Candalh-Touta, N. and Szewczyk, J. (2017). 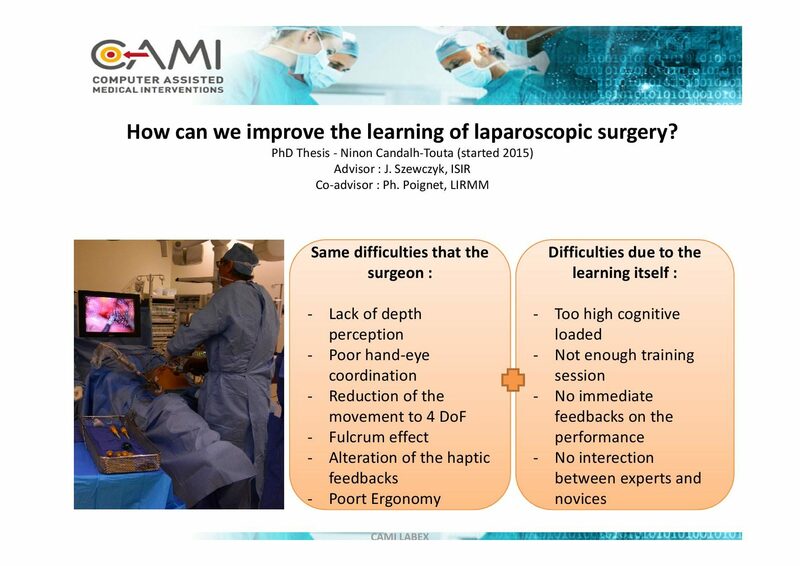 How can we improve the Training of Laparoscopic Surgery thanks to the Knowledge in Robotics?. 15th International Conference on Education and Information Systems, Technologies and Applications. Pages pp.137. Candalh-Touta, N. and Szewczyk, J. (2017). Is proprioception a key sensory modality to be successful in laparoscopy training?. Computer Assisted Radiology and Surgery (CARS). Pages pp.S132. Candalh-Touta, N. and Poignet, P. and Szewczyk, J. (2017). 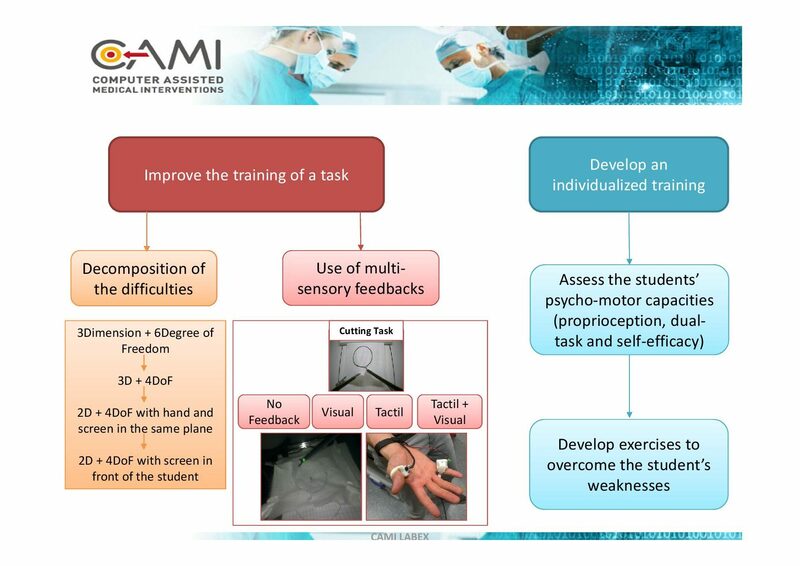 Can Multi-Sensory Feedbacks Improve Laparoscopic Surgery Training?.